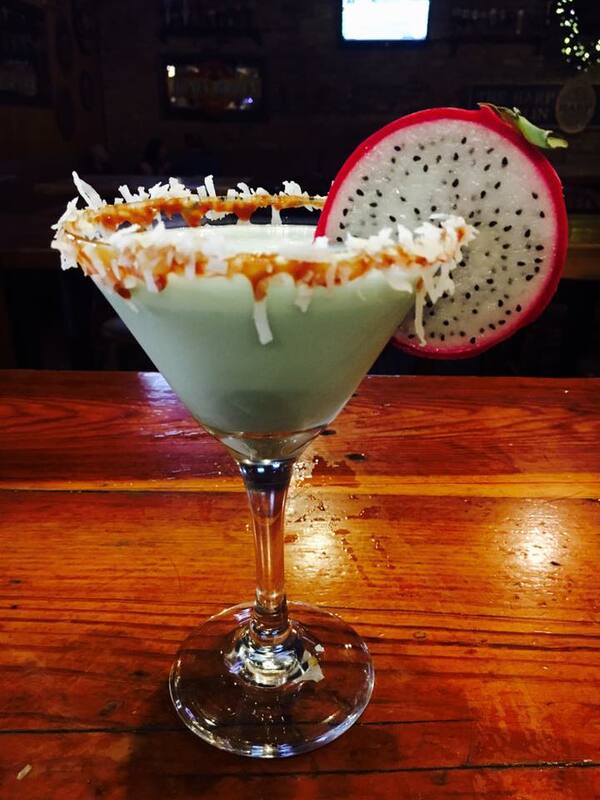 Quench your thirst with some of San Marcos’ best tasting “Mer-tinis!” Back by popular demand, this highly anticipated Mer-tini Shakedown Competition is a friendly - yet fierce - contest among local mixologists that shake it up the final week of Mermaid SPLASH! This is a high-spirited event to create the best Mermaid-inspired Martini or Mer-tini. Two teams of judges will travel from site to site sipping the tasty and creative concoctions while taking careful notes on the distinctive characteristics of the competing cocktails to determine a favorite. 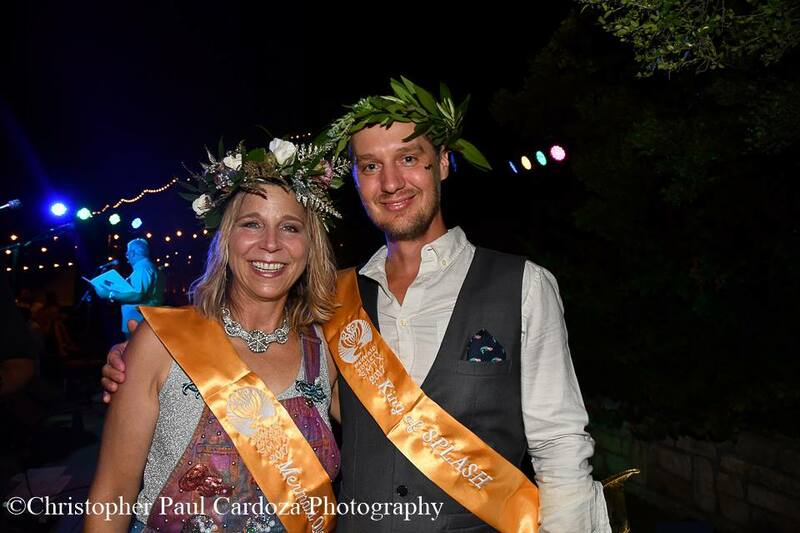 The evening ends with two semi-finalists who will go to the Shakedown Finals held on the rooftop of the Meadows Center during the Mermaid Society Art Ball on Friday September 21st. This competition is scored on taste, presentation and creativity with extra points earned from mer-inspired flare and fanfare. Two awards are bestowed upon the 1st place and 2nd place.. Besides bragging rights, the 1st place winner receives an original trophy (designed by a different local artist every year), and a $300 cash award. 2nd Place winner receives a $200 cash prize. 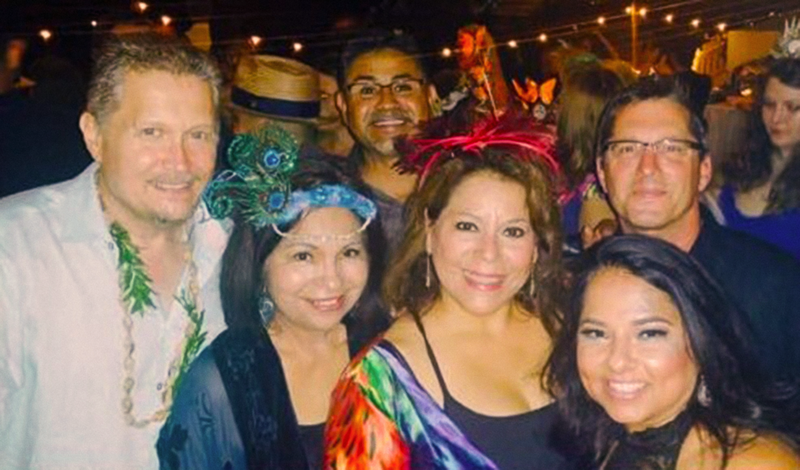 Join us on Saturday, September 15th when the competition escalates; because this year there will be 16 cocktail masters, representing some of San Marcos’ best eating and drinking establishments and battling for the win! 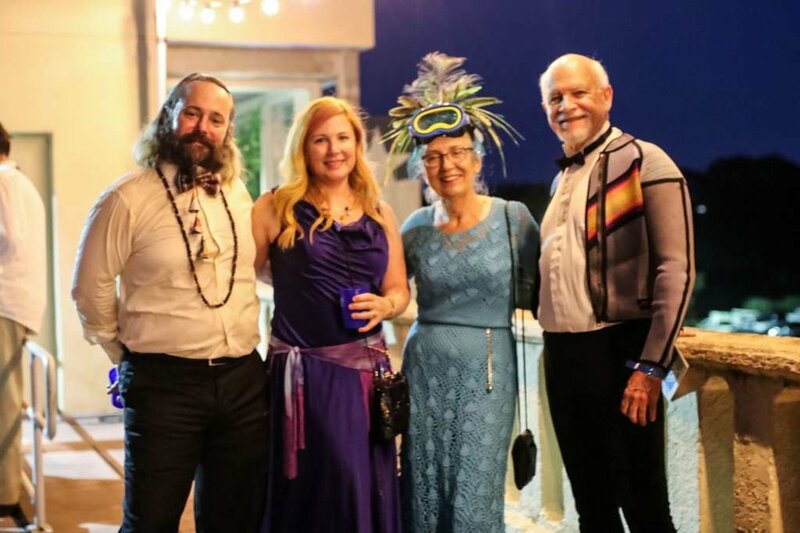 This year, expect the unexpected at the eagerly awaited Mermaid Society Art Ball, as the Meadows Center comes to life with a magical evening paying tribute to the enchanted world of Mother River. This private gala evening includes starry night rooftop views, sunset glass-bottom boat cruises, live music, dancing, dining, specialty cocktails, live art performances and more. 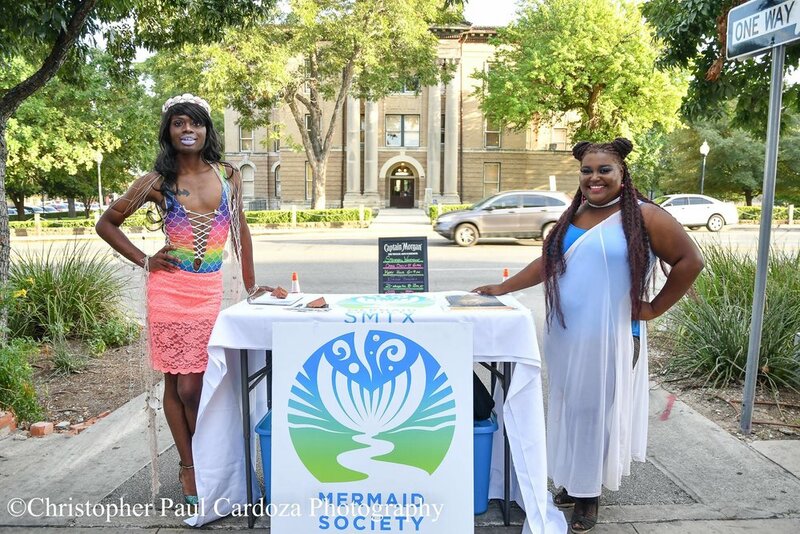 The Mermaid Society Art Ball is scheduled for Friday, September 21st from 7:00 – 11:30p on the grounds of The Meadows Center for Water and the Environment, located in San Marcos, Texas. The Meadows Center sits on Spring Lake, the site of an environmentally, culturally, and archaeologically significant resource and headwaters of the San Marcos River. The same location where the former Spring Lake Resort at Aquarena Springs,was known as the ‘original home of the San Marcos Mermaids’. 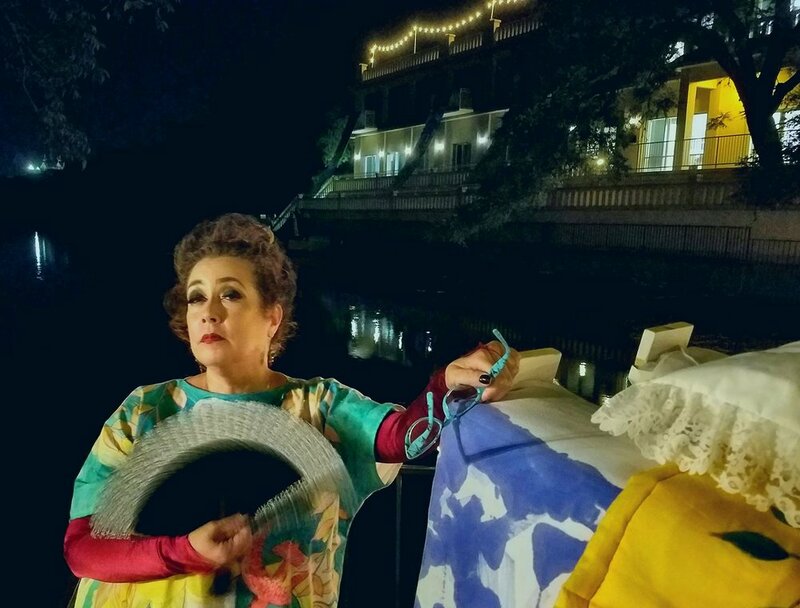 Highlighting our unique river and artistic culture, the Downtown Mermaid Promenade is created to be a celebration of San Marcos’ vibrant artistic and river community. With nearly 100 entries last year and on record for the largest turnout for a parade in San Marcos, the Downtown Mermaid Promenade continues to entice the young and old! 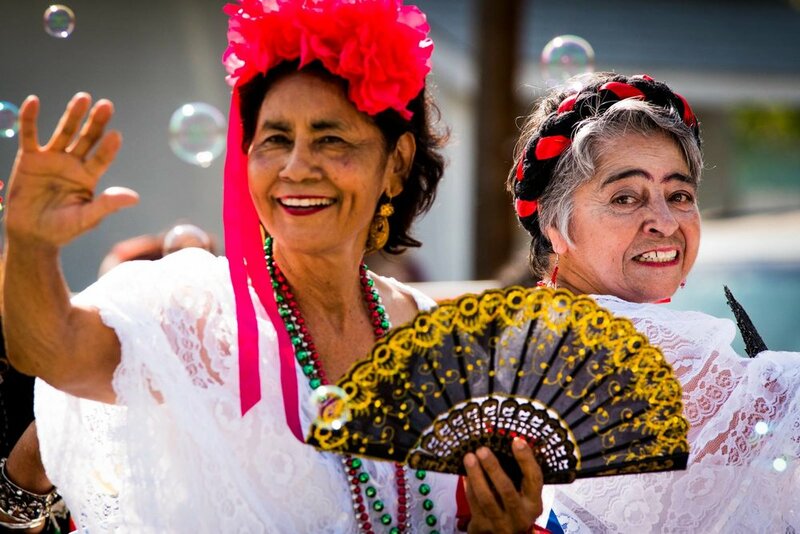 Austin Samba and Las Monas de San Antonio lead the parade bringing their brand of “radical creativity, fantasy, and imagination” to the streets with a sizzling combination of rhythm, dance, movement, color, joy and …giant mermaid puppets! 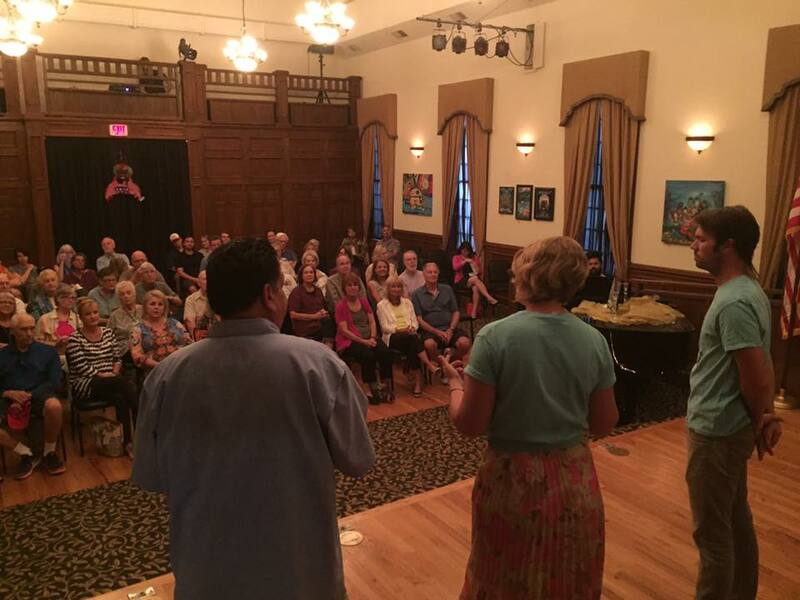 The parade will feature floats, marchers, dancers, and music! 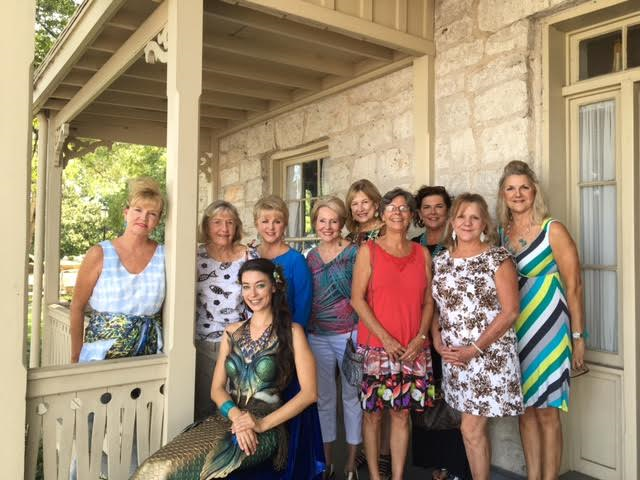 This third annual ‘Texas original’will highlight selected honorees representing the arts, river guardianship, and heritage of San Marcos. 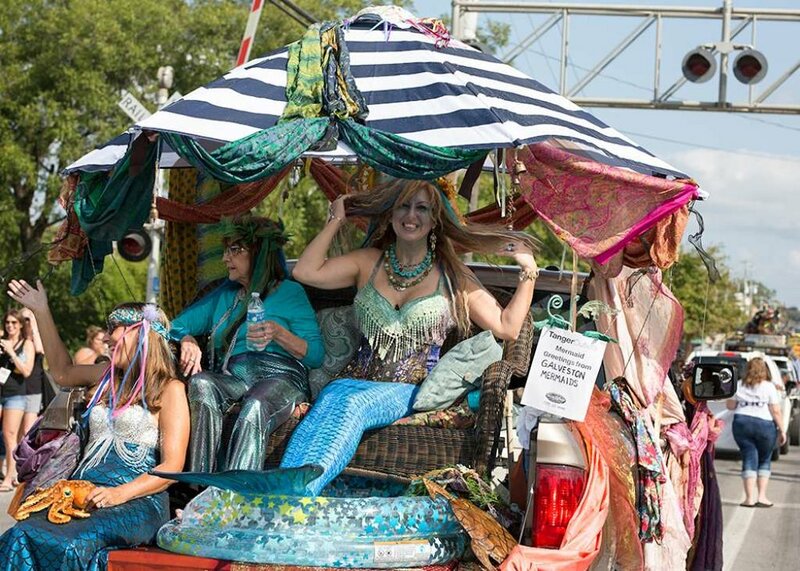 Fresh water mermaids are the primary theme for this family fun event. 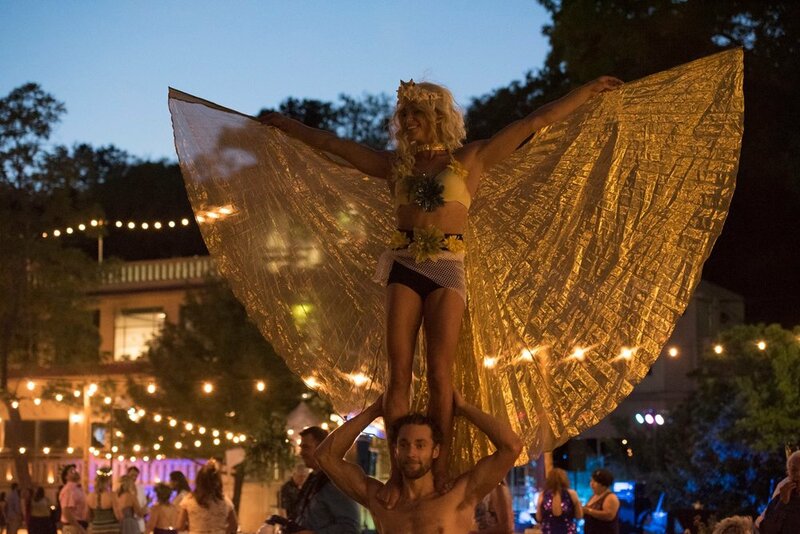 This all-inclusive city parade celebrates our history of the Aquamaids of Aquarena Springs and immortalizes the mermaid as guardians of the San Marcos River. The parade line-up starts at the corner of CM Allen and Cheatham Street and offers plenty of viewing options along the route. 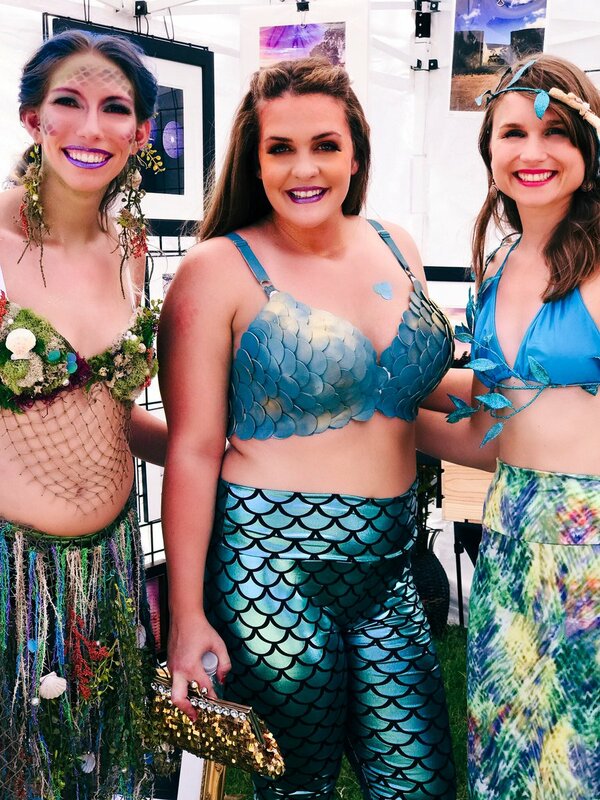 The fun continues at the Mermaid Aqua Faire immediately following the parade at the San Marcos Main Park Plaza from 10:00 a.m. – 7:00 p.m. All within walking distance from downtown, the family can enjoy this FREE community festival of art, live music, food, and fun! Some of the Parade highlights include the Mermaid SPLASH Royal Court to include our King of SPLASH, Mermaid Queen and Mer-folk Court, Parade Grand Marshal and Honorees. Saturday, September 22nd 10:00 a.m. – 7:00 p.m. The fun kicks into full gear following the Downtown Mermaid Promenade! 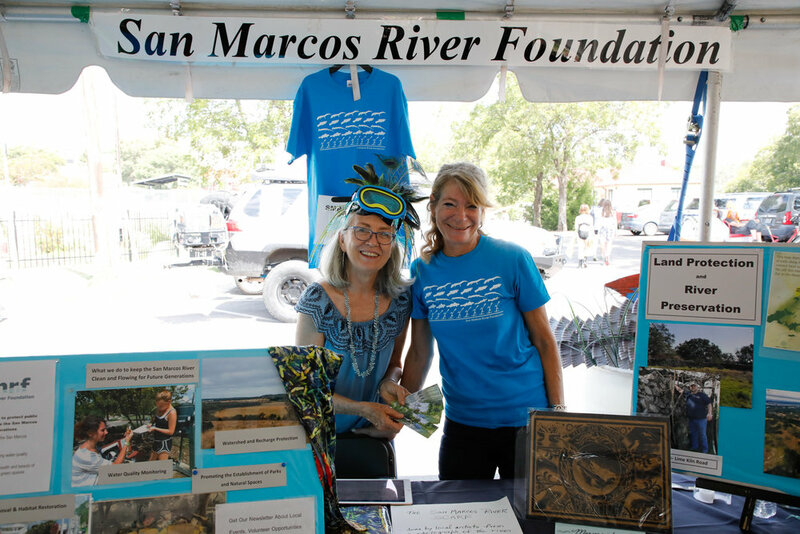 The San Marcos River serves as the beautiful backdrop to this fun filled FREE festival that has something for Mer-folk of all ages. 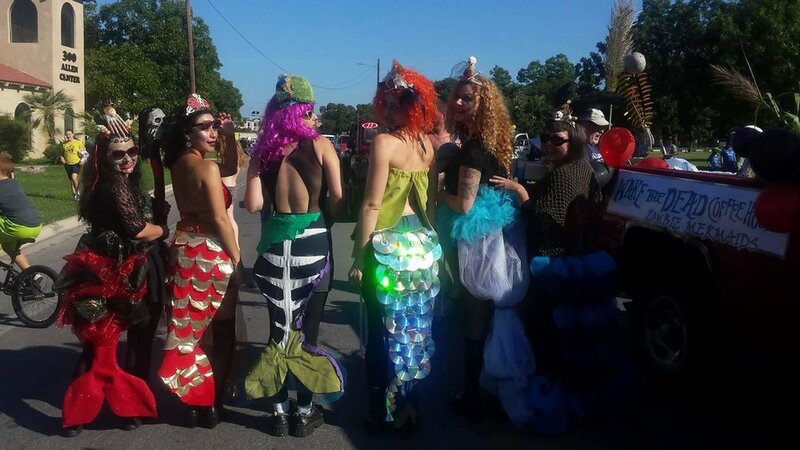 The Mermaid Aqua Faire kicks off right after the parade and continues the celebration at San Marcos Plaza Park! 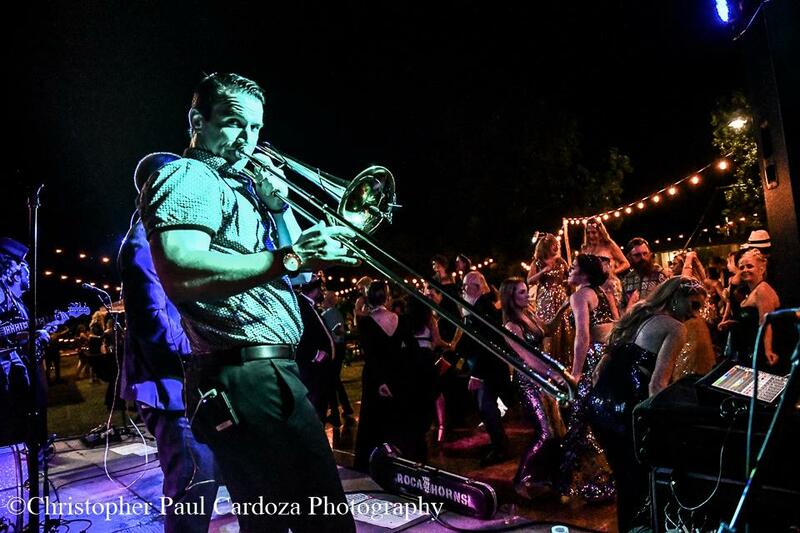 An all-day event to include live music performed by Bidi Bidi Banda, Rochelle and the Sidewinders and The Deer, a juried art market coordinated by the San Marcos Art League, food booths and the KIDzone coordinated by ArtSpace - Centro Cultural de Hispano. Festival-goers will learn about environmental stewardship at the Eco Village, and take part in the variety of interactive activities planned for the whole family; to include hands-on workshops, scheduled presentations by environmental experts and art inspired learning projects for everyone. Sightings of mermaids in our river is a guarantee! Presentation of the Mermaid SPLASH Royal Court to include the King of SPLASH, Mermaid Queen and Mer-folk Court, Parade Grand Marshal and Honorees. to all of the 2018 Mermaid SPLASH Sponsors! More 2018 Mermaid SPLASH Sponsors coming soon! Our sponsors make Mermaid SPLASH possible! We invite you to be part of the celebration. Click below to learn more about sponsorship opportunities. WE NEED YOU! If you'd like to volunteer your time, head to our Volunteer Page and sign up to be a member of our Mer-Crew. There are many options to choose from- be a volunteer for a day, a particular event or on an on-going basis. Check out the volunteer descriptions to help you make a choice! Thank you!